Sungai Rengit is a river near Sungai Rengit town, Pengerang. This photo was captured at the estuary of Sungai Rengit. 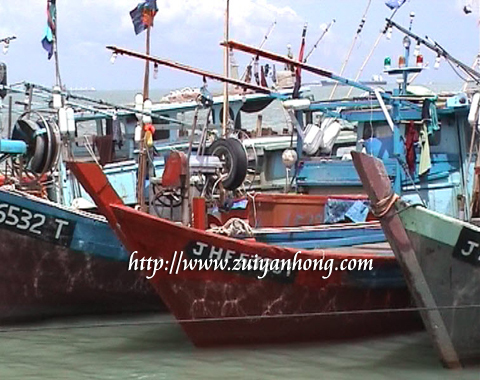 After crossing Sungai Rengit, you can head to TLDM Base, Sungai Kapal, Pengerang Old Town and Tanjung Pengelih Jetty. This brother is busy repairing the damaged nets. Based on his skill, he must have involved in the fishing industry for quite some time.